ILT offers ISO17025 accredited light meter calibration services for numerous types of UV measurement systems covering the full UV spectrum from 200 - 400 nm. (185 nm calibration is also available without NIST traceability). Calibration options include standard (single point calibration at one intensity), scanned calibrations (sensitivity by wavelength for sensors emitting current), linearity testing (three or more intensities), spatial response verification, filter transmission testing, and more. (Note: Non-ILT meter calibration does not include internal manipulation of the meter's stored calibration. 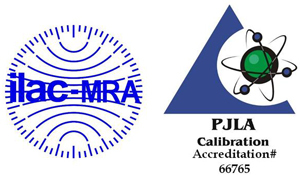 A scaling factor (multiplier) is provided for non-ILT meter calibrations along with a certificate of calibration. For devices that allow programming a new calibration factor, ILT supplies the data required for the end user to adjust the readings/internally stored calibration factors). 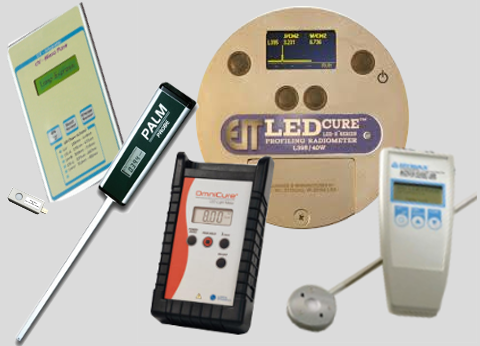 ILT offers UV calibration for power/total flux in watts as well as irradiance/illuminance in W/cm2. Validation of total dosage/exposure is also available for units reading out J/cm2 and joules. Please note that not all sensor combinations are possible depending upon the spectrum/band pass, filter weighting, peak wavelength, and dynamic range of the system configuration. In cases where one meter can be used with many sensor/filter/optic combinations, servicing/calibration of that meter may not be possible. Below is a list of commonly calibrated models. Use the drop down to jump to a specific brand/manufacturer. If you have questions or do not see your meter listed, you can contact us via email at ilservice@intl-lighttech.com, or by phone at 978-818-6180 x118. Click on the Request an RMA buttons. If you need a quote prior to service, select "Yes" in the Quote Needed Prior To Servicing line item.